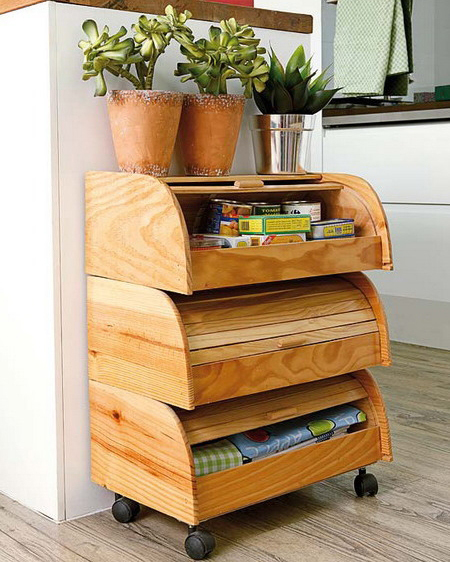 From wooden bread can be made veryA convenient cabinet for the kitchen or hallway. If desired, the cabinet can be turned into a cabinet. Wooden breadcrumbs for this homemade are sold in stores, but there they are quite expensive. Much cheaper can be found in "junk" in the market.